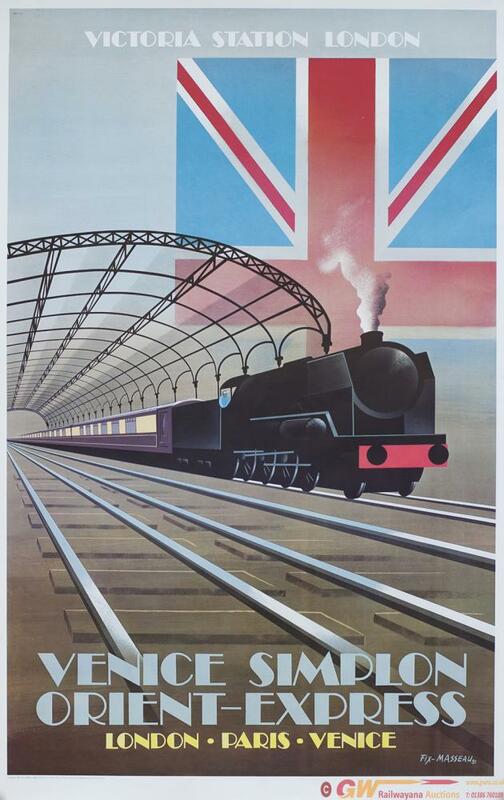 Poster VENICE SIMPLON ORIENT EXPRESS VICTORIA STATION LONDON by Fix-Masseau 1979. First edition printed in France 1981. Double Royal 25in x 40in. In excellent condition.